What a month for stocks. 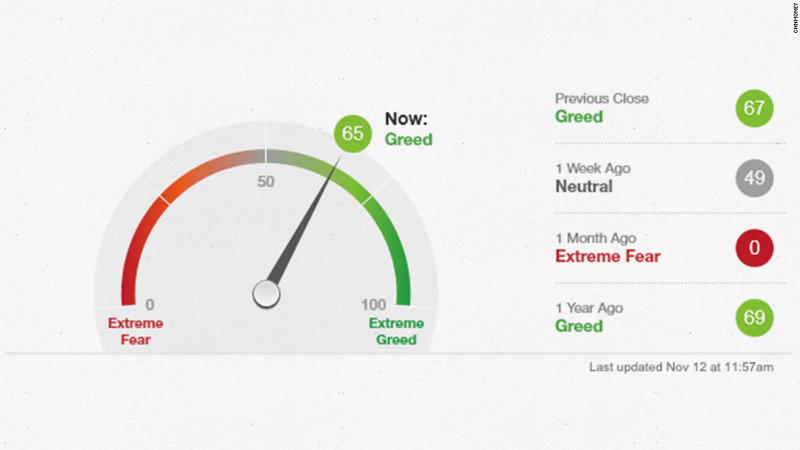 CNNMoney's Fear & Greed Index has gone from as low as it could go to Greed mode. CNNMoney's Fear & Greed Index is in Greed (is Good?) mode. It's not far from Extreme Greed territory. That is nothing short of remarkable when you realize that the index was as low as it could go -- zero -- just a month ago. The VIX (VIX), a gauge of volatility that is one of the seven components of the Fear & Greed Index, has settled down to about 13. It was above 30 in mid-October. Why are investors no longer scared? Many of the problems that were hurting sentiment in late September and early October still exist. Plunging oil prices are more a cause for concern (weak global demand) than something to celebrate. The Federal Reserve finally ended its quantitative easing program -- the bond purchases that helped prop up the market for nearly six years. And as CNNMoney's markets and investing editor Heather Long has pointed out, stock valuations are starting too look frothy. Still, it appears that the plunge into Extreme Fear levels last month was an overreaction. Looking on the bright side: Ebola did not turn into a pandemic that caused people to stop traveling. ISIS has not had a major impact on the global economy. Earnings have been good enough to keep the rally going too. 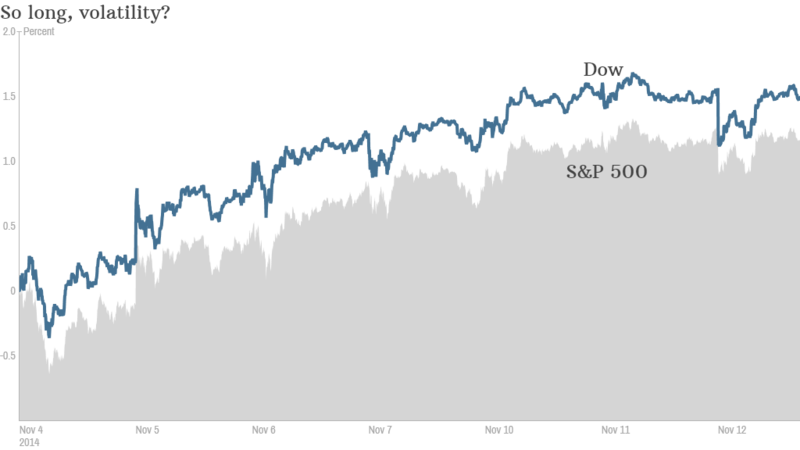 Profits for the S&P 500 were up about 8% from a year ago in the third quarter according to FactSet. And more than three-quarters of the companies that have reported results so far beat analysts' earnings estimates. Even though the Fed has removed the QE pacifier, investors have no reason to cry thanks to more stimulus from Japan and the European Central Bank. Plus, future rate hikes from the Fed are likely to be small and gradual. Monetary policy from the major central banks is still easy, not tight. Related: Can this epic market comeback continue? The midterm elections have helped too. With Republicans taking control of the Senate (in addition to the House) investors are now betting on gridlock in the Obama lame duck years. Wall Street usually prefers it when nothing gets done in Washington since it means that lawmakers and the White House can't screw anything up. So what's next for stocks? The fourth quarter is typically very strong for stocks. And market momentum, another of the indicators that makes up the Fear & Greed Index, is currently showing levels of Extreme Greed. So is the safe haven demand factor, which looks at how stocks are doing compared to bonds. It's a good sign that bonds are no longer rallying as sharply as they were earlier this year. It didn't make sense, especially with QE coming to an end and rate hikes likely to start next year. But even though the Dow and S&P 500 are back near record highs, it's encouraging that the most recent market moves have been far less dramatic than the wild gyrations traders experienced in September and October. November has been, dare I say it, a boring month for the market. The past few days in particular have been quiet. And that's not a bad thing. The Dow shouldn't be going up or down at least 100 points every day. 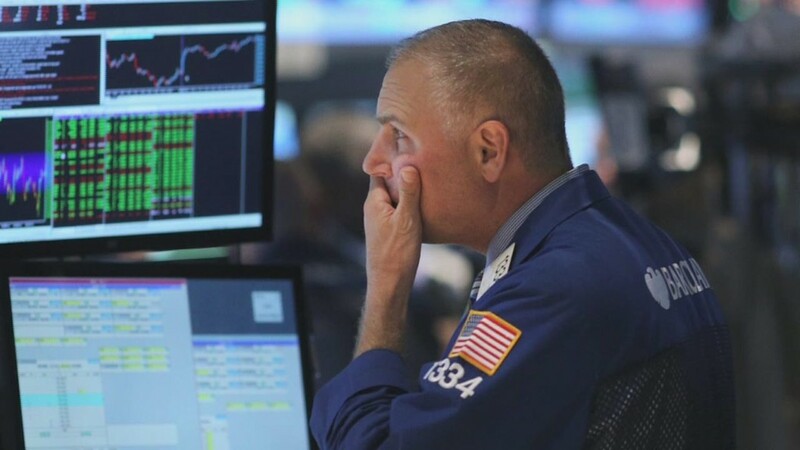 The constant 1% changes in the Nasdaq and S&P 500 were exhausting for investors. It's probably premature to say that volatility is ancient history for stocks. But this breather is a welcome change of pace. Here's hoping that investors don't get too greedy in the coming weeks and months. If they do, we might be looking at more fear (and another big sell-off) shortly after the new year.